As a professional counsellor, Beth's goal is to help her clients create fulfilling lives for themselves and meaningful relationships with partners, families, and friends. Her warmth and gentleness provide a safe and accepting place for her clients to explore, heal, and integrate emotions, thoughts, beliefs, sensations, and actions. 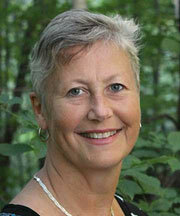 She uses a collaborative approach that focuses on what clients want to achieve through counselling and in their lives. Beth's corporate expertise in counselling and coaching coupled with her counselling experience with individuals and couples, has provided her with an understanding of the realities of life for many who seek therapy particularly during times of transition e.g., job and career changes, retirement, family additions and changes due to blending families or separation/divorce.